This is our translation of an article that was published in Helsingin Sanomat - Finland's largest an most respected daily newspaper. Solibri was used as part of the software solution employed by YIT to bring Tripla to completion. We're really happy to see Janne Salin, one of our super users being recognized as a spokesperson for YIT's success. Estimated value 1,2 billion euros, about 1000 employees and 200 officials. Total area 183,000 floor square meters, which equals 50 football fields. The overall height from the pit in the railway yard to the to the roof of the highest apartment building will be close to 100 meters. Above are some of the key figures of the Tripla complex which will rise in Pasila. The project includes five different building sites: street work, earthworks and landscaping, the mall, hotels and offices, the station, and the apartments. Tripla is a highly complex project, both for designers and builders. Nevertheless, the project is well ahead of schedule when compared with the original plans. 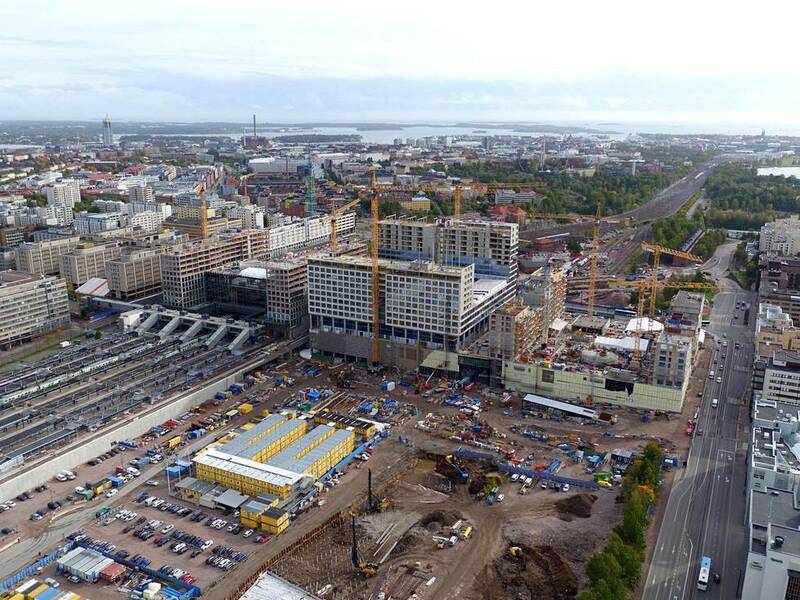 In 2014, YIT won the competition, organized by the City of Helsinki, for a new commercial and residential district in Pasila. Economic conditions have not been optimal for overall and material costs during the building project. It’s natural for the costs to rise during such a long project, but project leader Tapio Salo ensures that they are well within the risk and cost estimate. Meanwhile, the value of the project has gone up by 200 million euros. The project schedule has been tightened up by two years, which has had a positive effect on cost management. One major factor in this is that YIT ended up building a temporary station to answer to the needs of the passengers while the old station building, built in the 1990s, was being demolished. The temporary station building cost 5 million euros, and the original idea was to build it in two years. “Now the whole project should already be completed in 2020,” says Pekka Luukkanen, production director of the project. 82 percent of the shop spaces and 65 percent of the office spaces have already been rent, and for example Telia Finland will move its headquarters to Tripla. In this kind of massive construction project, flow of information is essential. It is improved with the Big Room working space, which brings together the project parties, collaboration between design and production, and the efficient use of digital tools. “Each critical work phase has been scheduled and simulated with the help of an information model. The area model is utilized for example when coordinating work and briefing new employees,” explains Janne Salin, BIM Specialist. About 65 percent of the staff working at the Tripla site are foreigners, and they represent as many as 68 nationalities. Pasila is YIT’s home ground, for the company’s former HQ is in Eastern Pasila, and the even older HQ in Western Pasila. In addition to the Tripla centre, YIT is building apartments in VR’s former Konepaja district in Pasila. The new skyscrapers in Central Pasila will also be built by YIT, for the company recently won the Helsinki High-rise competition.